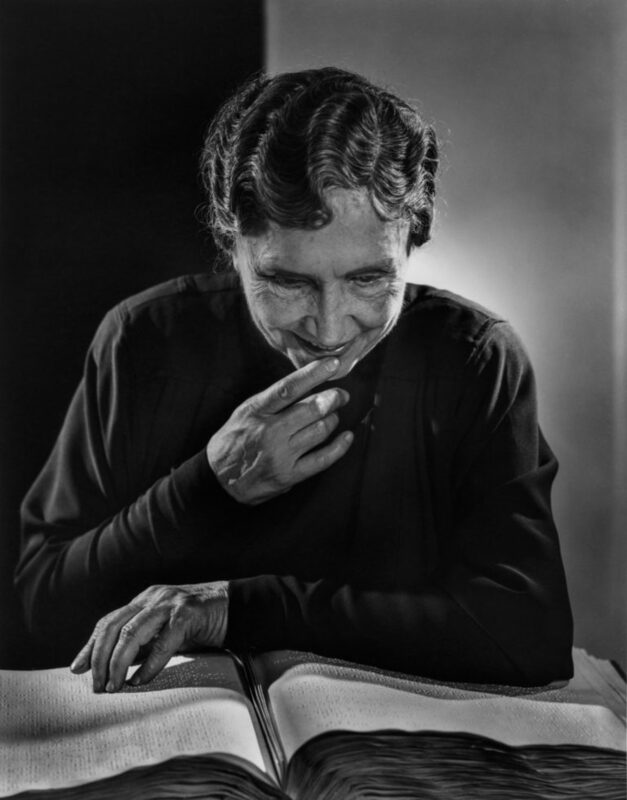 Helen Keller was born on this day, June 27, in 1880. “On first looking into her blind but seeing eyes, I said to myself of this woman who had no sight or hearing since the age of three, ‘Her light comes from within.’ When we met, she placed her marvelously sensitive fingers on my face. This was, for me, an emotional experience; I sensed she already knew me. Her faithful companion, Polly Thompson, dialed Braille into her palm. Helen Keller’s kindness and understanding, her alert mind, awed me. Read the rest of Karsh’s thoughts on Helen Keller.